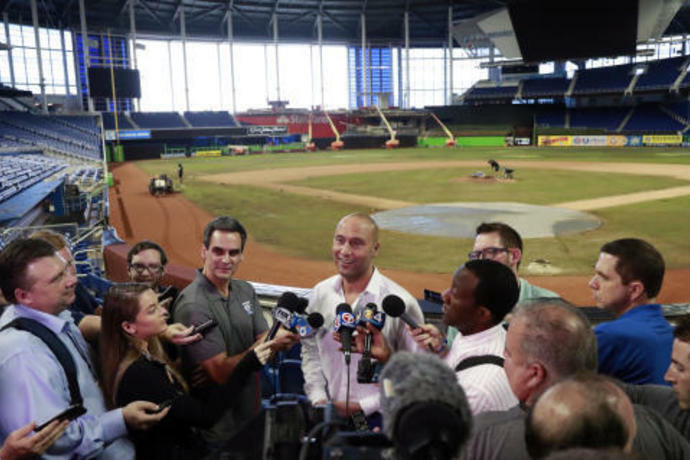 MIAMI (AP) -- Derek Jeter stood and chatted a few rows from home plate in Marlins Park on Monday morning. His words were sometimes drowned out by noises coming from construction crews; steel clanging against steel in an area getting built behind the center field wall, or the whirring of engines moving heavy machinery about. 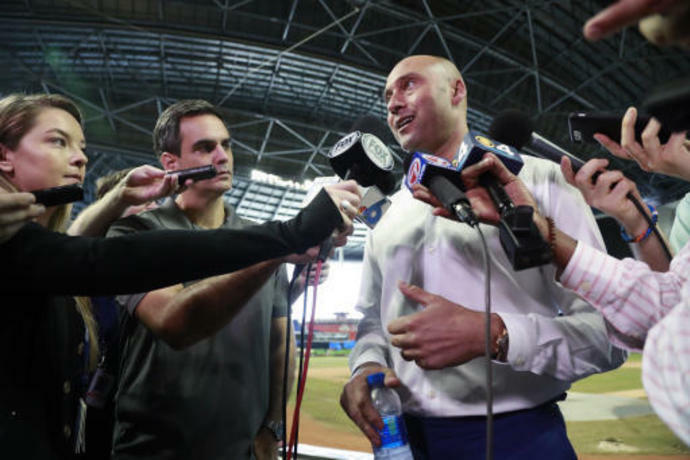 Jeter, entering his second full season as CEO of the Miami Marlins, knows that building - whether it is a new spot for fans to watch games from, to a minor-league system, to a contending big-league club - takes time. 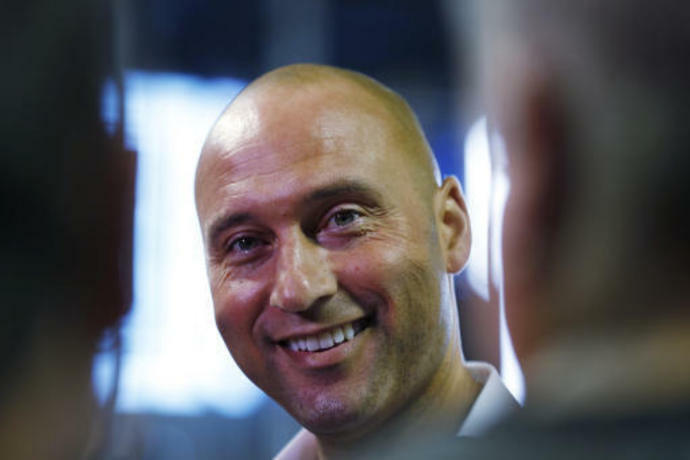 That also means Jeter is being tested in ways now that he never was during his playing days as shortstop for the New York Yankees, when winning and competing for titles seemed like an annual occurrence. The Marlins had the worst record in the National League and the fourth-worst record in all of Major League Baseball last season, and just traded away the best player from their 2018 club - catcher J.T. Realmuto - to the Philadelphia Phillies. And oddsmakers say the Marlins will be one of the longest shots in baseball this year, which didn't amuse Jeter. The Marlins vow they're going to make the experience at home games - where attendance dipped to franchise-record-low numbers in 2018, partially because the team was bad and partially because the new ownership group began revealing far more accurate ticket numbers than was done under the previous regime - better this year. The team is trying to better embrace the Latin flavor of Miami, and want fans to even feel comfortable bringing instruments to games if so inclined. MIAMI (AP) -- Curtis Granderson homered and the Miami Marlins busted out at the plate after changing hitting coaches, roughing up ace Max Scherzer in beating the Washington Nationals 9-3 on Saturday night to win a series for the first time this season.